Different approaches that can help to further advance the way ideas are sourced, shared, scoped and shepherded through the innovation process, so that public sector organizations can improve the yield of ideas moving through their pipelines. Leaders in public sector organizations are facing ever-increasing demands and expectations from their constituents to deliver services more effectively and efficiently, to streamline processes, improve productivity, reduce costs, and improve customer satisfaction all the while dealing with limited resources in terms of personnel and budgets. In the field of open innovation, defined by Chesbrough and Bogers as “a distributed innovation process based on purposively managed knowledge flows across organizational boundaries”, there are both inbound and outbound idea flows. Outside-in idea flows have been well popularized and have become a common approach to access crowd-sourced or citizen-sourced ideas from outside the four walls of the organization. The less well-known counterpart to this is the notion of inside-out idea flows whereby unused or underutilized ideas are shared externally for others to explore and gain benefit. This is one area I believe has tremendous potential for government departments and agencies to share with counterparts at the local, state, federal and even national levels. Interestingly, in a similar approach to the first recommendation, the solutions and lessons learned from the DT-Hub will be placed in the public domain, so they can be utilized in California and beyond. In this manner inside-out solution flows, as well as idea flows, can be a valuable way for innovations to be disseminated across the public sector. By carefully defining, and in some cases expanding, the scope of innovation initiatives, public sector leaders can take advantage of these types of technology combinations to unlock powerful new opportunities which may have a far greater value proposition than if they focused on the business use cases of a single disruptive technology such as AI or IoT alone. A good public sector example is the smart pedestrian crossing from Umbrellium that responds and shape-shifts in real-time to pedestrian movements and crossing patterns. It’s implemented via a combination of cameras, LEDs and machine learning algorithms and addressing the challenge of how to make urban road crossings safer and more interactive, fluid and people-centric. By setting the aperture of innovation campaigns wide enough to allow for these kinds of strategic questions via Grand Challenges and other approaches, public sector leaders can more easily cross the divide between technology innovation and business model and process re-invention, finding solutions that may be unsolvable with a single technology alone. 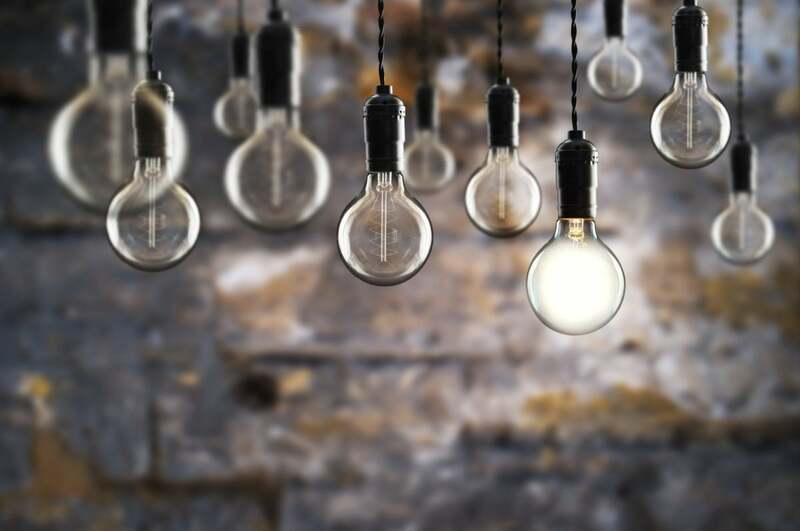 While most innovation programs seek to establish an ongoing innovation pipeline and surrounding set of people, processes and technology, one often under-utilized element of these programs is agile ideation (idea generation). The typical innovation campaign lasts from several weeks to several months and that’s just for the initial sourcing of ideas. An additional technique that public sector leaders can utilize to help energize their innovation pipelines and accelerate the influx of ideas is to conduct rapid, event-based innovation sessions. Lean, agile workshops conducted over one to two days can be an excellent way to capture and prioritize ideas quickly for the near-term and longer-term implementation roadmap. These can also serve as an excellent complement to more longer-term innovation campaigns and challenges. If you undertake these types of sessions, look beyond Post-It’s and towards software for your digital innovation sessions. This will maximize productivity as well as help to drive consensus among your various stakeholders and participants with everyone sharing an electronic whiteboard of ideas. A foundational way to accelerate innovation is to take a programmatic approach by establishing a formal innovation office and by building on the maturity of this office over time. This requires continually assessing and advancing capabilities across strategy, people, process and technology. Innovation playbooks and toolkits such as those found on Innovation.gov from the GSA’s Technology Transformation Service can be a valuable way to help spur culture change and unblock barriers to innovation. In terms of tapping into additional sources of innovation, Dan Chenok, Executive Director of the IBM Center for the Business of Government sees both push- and pull-mechanisms helping to accelerate innovation in the public sector. On the pull side, entities such as the U.S. Digital Service (USDS), 18F and the Presidential Innovation Fellows (PIF) program are serving as powerful intermediaries to help agencies and departments solve a variety of issues related to modernization and transformation. On the push side, time-boxed accelerator programs such as Dcode are helping startups to bring their innovations into the Federal Government by providing exposure and helping to smooth the business and procedural gaps for emerging technology companies to truly impact the way the government runs. Overall, these five approaches can help to further advance the way that ideas are sourced, shared, scoped and shepherded through the innovation process so that public sector organizations can improve the yield of ideas moving through their pipelines. With more and more individuals and organizations participating in the public-sector innovation ecosystem, including various intermediaries and accelerators, it will be vital for these assorted communities to collaborate extensively, share best practices, and encourage open innovation – both inbound and outbound – so that ideas and solutions can flow smoothly and rapidly to where they can have the most impact.